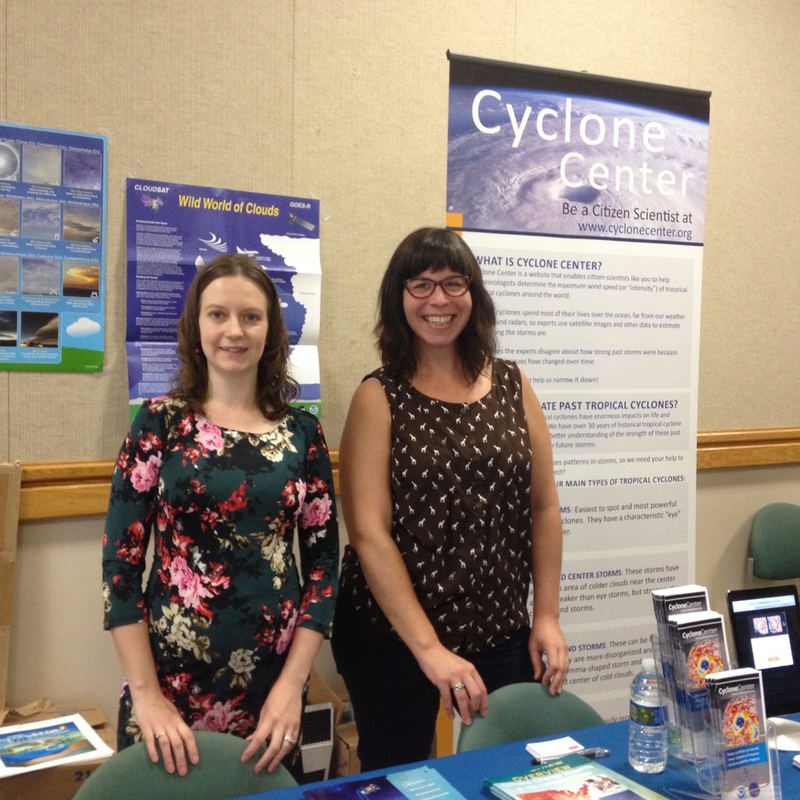 Laura Stevens and Theresa Stone of NCICS at the Mountain Science Expo, April 2015. As an academic institution, educational outreach is an important component of our mission here at NCICS. 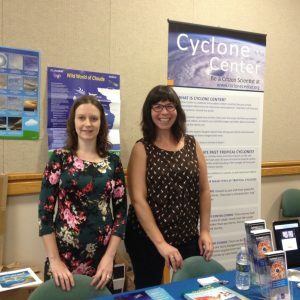 Members of our engagement team are particularly active in supporting climate literacy outreach for the K–12 audience and various local and regional events. One of the major events we support is the Mountain Science Expo held each year at the North Carolina Arboretum here in Asheville as part of the North Carolina Science Festival. Working with colleagues from NOAA’s National Centers of Environmental Information, NCICS staff are on hand to provide climate and weather information and resource materials. The 2015 event was attended by approximately 2,600 students, families, and area educators.